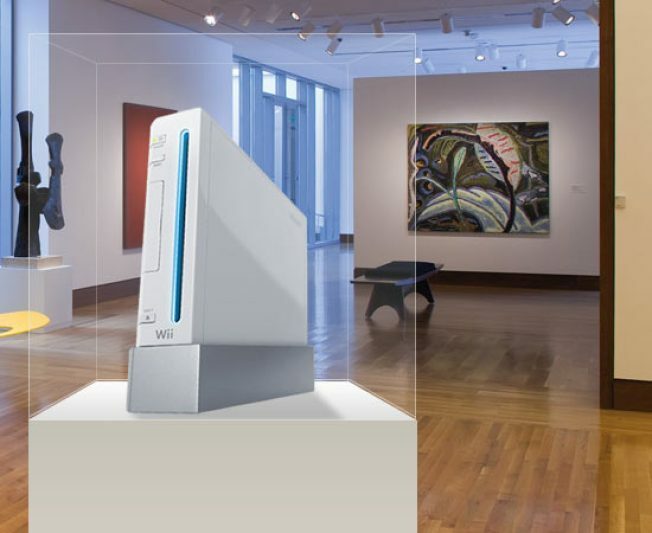 Wii may soon become a relic. Take yourself back in time to 2006 for a moment. The Wii just came out, and it has a controller that looks like a magic wand and controls games in a way that's never been done — at least not on such a large scale, and not as the main draw of a console. Motion control establishes itself as a bonafide addiction, and the Wii turns into a runaway success. Now bring it on back to the present. The Wii is still strong and just enjoyed its third anniversary at the end of last year, but it's starting to show signs of fatigue. Sales are lagging — a serious worry not only to Nintendo, but to developers as well. What's worse, the race against the Xbox 360 and the PlayStation 3 is starting to look longer than Nintendo expected, and the magical Wiimotes aren't enough to hide the system's flaws. In short, the Wii is getting old. When the current generation of consoles hit the shelves, there was a lot of talk of the dreaded "five-year cycle." That is, the giants in gaming push out new hardware every five years, forcing consumers to buy up or fall behind. Nintendo exemplifies this strategy the most as it's operated in the space longer than its competitors. The original Nintendo Entertainment System came to North America in 1985. Six years later, the Super Nintendo arrived on U.S. shores. After that, Nintendo has consistently nailed that five-year mark: the Nintendo 64 landed in '96, the GameCube in '01, and the Wii arrived on time in 2006. If Nintendo keeps it up, we should see another console in 2011. There's only one problem: Sony and Microsoft may not join Mario and friends in igniting the next console war. Even as far back as '06, Kazuo Hirai, the president of Sony Computer Entertainment, said that "We look at our products having a 10-year life cycle, which we've proven with the PlayStation. Therefore, the PlayStation 3 is going to be a console that's going to be with you again for 10 years." While the PlayStation (1995) was followed by the PlayStation 2 five years later in 2000 — and with the PS3 in '06 — what Mr. Hirai is talking about is the fact that both previous consoles sold well even after a successor was released. With the PS3, it's very possible that Sony will focus on expanding its capabilities — much like the Xbox 360 and its future in motion control, Natal, which Sony is matching with its own motion control — rather than release an entirely new system. The Wii doesn't benefit from that kind of hardware-bolstered foundation. Of the three consoles, the Wii is the weakest in terms of raw power. Now, make no mistake: Nintendo's darling is hands-down the most innovative, and it's miles ahead of both the Xbox 360 and PlayStation 3 in terms of units sold. It enjoys the largest install base of the current generation with over 67 million units sold (compared to the 360's 39 million units and the PlayStation 3's 27 million) — though that last figure is a little low as Sony hasn't officially tallied its end-of-year sales in '09. With numbers like that, maybe Nintendo doesn't need to sell anymore Wiis. Nintendo brought motion-controlled gaming into our living rooms with the Wii, and its success hasn't been ignored. Sony is gearing up to respond with its own Wiimote-style motion control, and Microsoft is even trying to one-up them both by ditching the controllers all together with Natal. The Wii's adversaries may be playing catch-up in terms of innovation, but they both have the Wii beat in one hugely important area: HD output. While Sony and Microsoft can bring motion control to their existing consoles, Nintendo can't make the Wii play HD, not without new hardware. If you've played with it on a huge, high-def set, you know that the system's lackluster visuals can be decidedly bland when compared to the gorgeous, crisp offerings of titles such as Uncharted 2, which pushes the PS3's Cell processor hard for its graphical splendor. The Wii just doesn't have the chops to slug it out in the home theaters of 2011, let alone for five years after that. So what's Nintendo going to do about that? Well, nothing. Nintendo America's president and COO, Reggie Fils-Aime, has been firm in refuting that a Wii HD will ever come to pass. He's even gone so far as to say that Wii users "don't want HD," at least in terms of movie content. Nintendo CEO Satoru Iwata looks at the idea of an HD Wii from a different angle, wondering if that bump in technology will be enough to be attractive to the consumer, or if something entirely new is needed. For a company that has enjoyed amazing success with each incremental upgrade of its DS handheld — even new colors send people into buying frenzies — it's rather odd how hesitant Nintendo is tweak its Wii recipe, especially since HD isn't the system's only shortfall. The nature of the Wii's lackluster hardware also makes it something of a hermetic system — for developers as well as players. Popular game titles and exclusives play a big part in selling systems. Halo fans knew to stick with the Xbox 360, for instance, while adorers of Metal Gear and Killzone flocked to the PS3. For the Nintendo faithful there's no reason to be disappointed, what with classics such as Mario and Zelda. There is reason to be disappointed, however, with the fact that the cross-platform blockbusters don't make it onto the Wii because the hardware can't handle it. That fact is especially pronounced at the moment, given that Modern Warfare 2 — which boasts the biggest launch of any game and over $550 million in sales — just came out. You can play it on the 360 or the PS3, but the Wii just doesn't have it in it. Likewise, another big IP, Assassin's Creed 2, just sneaked it's way onto shelves. Whereas these games would normally help push people into stores to buy consoles, they're doing nothing for Nintendo. There's a growing feeling that, unless you're Nintendo, your game won't sell on the Wii: developers just don't see the same success on the system, and the problem is exacerbated by the fact that games developed for the Wii can't also be created on a cross-platform basis, as it is with the 360, PS3 and PC. You know what else sells hardware? Community. Microsoft has Xbox Live (XBL), Sony has the PlayStation Network (PSN), and Nintendo has the Virtual Console. All three platforms allow for digital distribution, but both XBL and PSN take the idea a step further by creating a global gaming community. The Wii's system is just as insular as the console: you create your Miis, which allow people physically close to you to enjoy space on your machine. To hook up with folks online, however, you have to enter tediously long friend codes that are harder to remember than your credit card number. It's no fault of the Wii, but it's another example of where Nintendo is falling behind in a key area this generation, and the front-ends for XBL and PSN require processing power the Wii just doesn't have. Nintendo may have hit a TV-crushing home run with the Wiimote, but the company's top competitors are hot on its heels, and leaving Nintendo in the dust in areas that are becoming more and more important, even to the casual gamer. The Wii has had an amazing run so far. Still, sales are finally slowing down at long last and in September Nintendo finally felt the need to drop the price of the unit for the first time ever. According to the company, the cut has done short-term wonders for sales, but it's a long-term boon the system really needs. None of this means that the Wii is a failure or even that Nintendo is in trouble. Far from it. What it does all mean, though, is that the Wii is a console based around one amazing concept, but that concept isn't novel anymore, and it will no longer carry it in the race against Sony and Microsoft. Maybe a bump up to HD is all that's needed, but that would mean a new console. Back at launch, when the Wii was $300 and the PS3 was $600, an HD-enabled Wii that fell somewhere in the middle would have made a lot of sense. Now the PlayStation 3 is $300, the Wii is $250, and the wow-factor and Blu-ray player the former boasts more than makes up for the $50 difference. Here's the bottom line. Sony and Microsoft will be asking you to buy new controllers to catch up to the Wii in innovation and functionality. Microsoft has even hinted that it may not even cost so much. Nintendo, on the other hand, needs to release a new console to catch up to its competitors. That's a lot to ask, even from the largest install base in the next-gen biz. In fact, that install base may be more of a curse than a blessing, in the end, as there's never a 100% adoption rate. So, really, what the Wii was in the beginning — a cheaper console banking on motion-controlled innovation — becomes moot point when the other systems drop prices and add the very same. The pressure's on, Nintendo. The Wii doesn't have the stamina to finish this race. Will we see a new Wii sporting an HD upgrade, or will the venerable console-maker pull out something even crazier? Only time will tell — and only sales will show whether the Wii's current generation of fans is onboard with more of what Nintendo's offerin'.